Find and polish the gold in others. I happened across the X-Factor one evening when mindlessly channel-surfing after a brain-intense day. 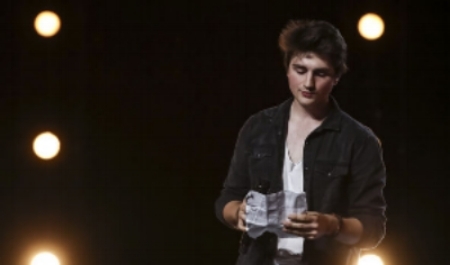 One contestant, Brendan Murray from Galway in Ireland, initially made a bad song-choice that had the judges cringing. This could have been the end of his dream, but this wasn’t to be the case. Sensing that he had more to offer Simon Cowell asked him to sing a completely unknown song; Kate Bush’s “Women’s Work”. After spending a few hours learning the song, he came back on stage and completely nailed the song. I believe our mahi as leaders is to seek and polish the gold in others. It is our moral duty to find peoples’ strengths and passions and to support them to see these in themselves, then use them within their work and lives. Vibrate on a frequency that embraces the gifts, growth and change of others. Gallup analysis reveals that people who use their strengths every day are three times more likely to report having an excellent quality of life, six times more likely to be engaged at work, 8% more productive and 15% less likely to quit their jobs. As leaders, it is however easy to fall into the trap of not acknowledging others for fear of them moving-on, or sabotaging our own sense of ‘power’. If this is the case, then we really do need to look at our leadership philosophy and style - these approaches no longer serve our modern world. It is in giving that we too receive. As you go forward this week, I encourage you to seek the goodness and gold in others. Polish it so it shines brightly. Do this selflessly and consistently. Older PostCommunicating Change: Banquet or Bites?